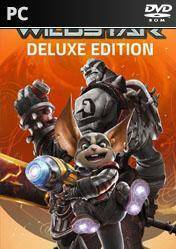 WildStar is a massive multiplayer game or MMORPG , which takes place on a planet called Nexus , where fantasy intersects with the latest technology . This title features a comic visual style and provides a unique and extensive adventure with lots of customization options. A huge world full of dangers , opportunities and secrets await us in Nexus . WildStar is set in Nexus , the homeworld of a powerful and ancient race called the Eldan . They were the most powerful beings in the galaxy with great knowledge of technology and magic, but suddenly disappeared . All races have launched a hunt for the secrets of this strange and powerful species . As in the rest of MMO , we select one of the classes that are offered with a specific role and go through missions evolucionandolo , thus improving their skills and improving their equipment. PVP is also a fun where we can confront the other races in large battlefields. Whatever path you choose, your personal history will reveal incredible secrets and unlock an epic adventure that will rival other RPGs. A dark and mysterious power threaten to corrupt the life of the planet .... And you shall stop it . There are no comments yet about Wildstar Deluxe Edition. You can be the first one!